It was only last month that Google started instant previews of search results, mocking a feature of Bing search. The feature is now live and is slowly being rolled out to all users. 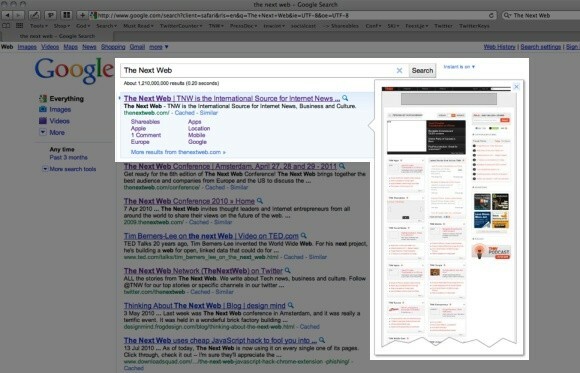 The feature is announced now as Instant Previews and shows you a preview of web pages that search results link to. While the feature is still not as useful as the one offered by Bing search which shows preview of more relevant text on the page rather than a screenshot of the page itself, still it may evolve with time and might prove out to be a huge time saving utility.